In the last few months, a trend has started amongst Quiz Apps….Live quiz shows to win cash! Right now, there at least half a dozen on the App stores that give quizzers the chance to win real $$$ at assigned times throughout the days. 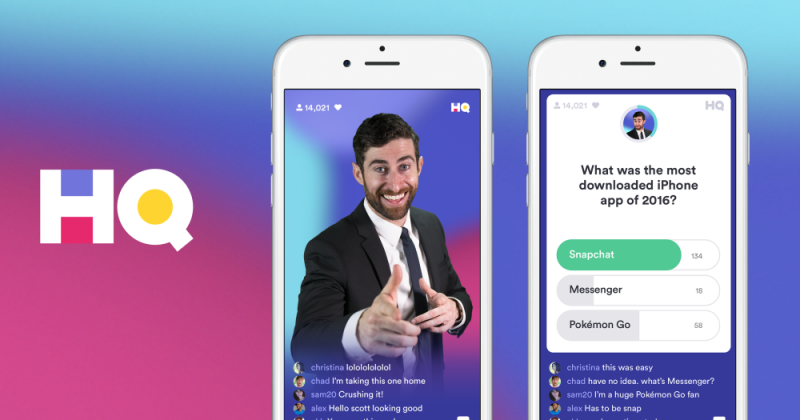 I have no idea which actually came first, but the most popular, and the one that has the most awareness and players (up to 1.5 million a game) is HQ Trivia. I have mentioned these apps to several people “in the real world” and their first question is always “What’s the Catch?”. Winning money without any sign up fee’s, no adverts and by simply logging into your phone and answering trivia seems too good to be true? Whatever the long term plan of these games and however they intend to make money, I have no idea, but at this moment in time I can you tell you from first hand experience, they are as advertised. That is not to say I have won anything…. Over the next few days Ill post up information about a variety of these apps with my thoughts as to whether they are worth your time. HQ Trivia certainly is. As I said, of all the live quiz show apps this is the busiest, which can lead to the occasional connection issues, however I am yet to be affected. Every question is a multiple choice question with three answers and if you get all 12 questions correct you win a share of the jackpot. Depending on how many win I have seen this be anything for $20 to last nights UK only game which was $875. Looking at the leaderboard some people (including known quizzers) are into four figure winnings! Obviously, with money on the line once you get past question 5 or 6 there is luck involve and some questions will come down to guesswork. There are features such as extra lives available if you get friends to sign up using your code but essentially to take home cash you need good solid knowledge to get past the 5-6 questions that are gettable, and then Luck to guide you through the rest. Some games vary and will have 8-10 gettable ones but even when you are eliminated you can watch the game and see how many winners there are. I would be interested to know how fellow quizzers are getting on with the app and how much success they have had, but it is certainly worth a go and with 4-5 games per day (including UK only games), there is plenty to keep you busy!